17 June. I woke up in Coniston expecting to just go home and do all my jobs – the ones that always need doing like washing and tidying and sorting stuff out. 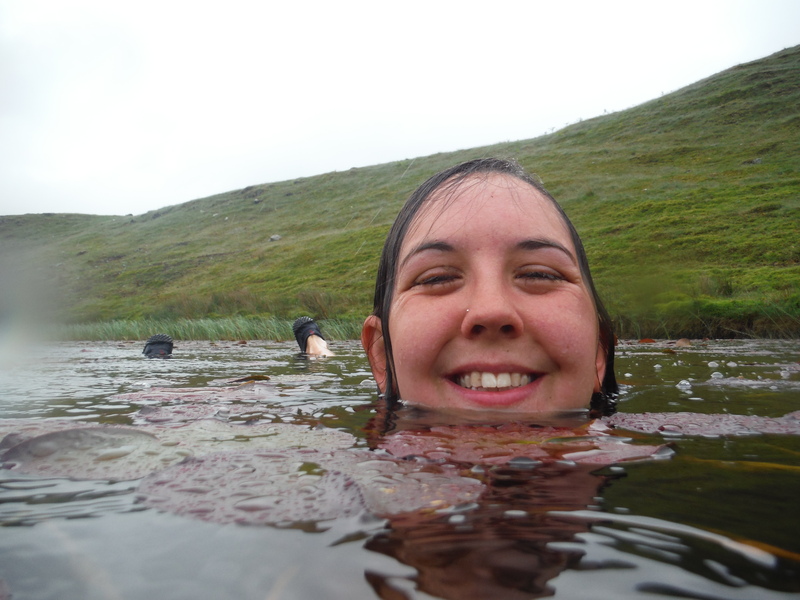 But I couldn’t resist the temptation to do a couple more swims before I left. 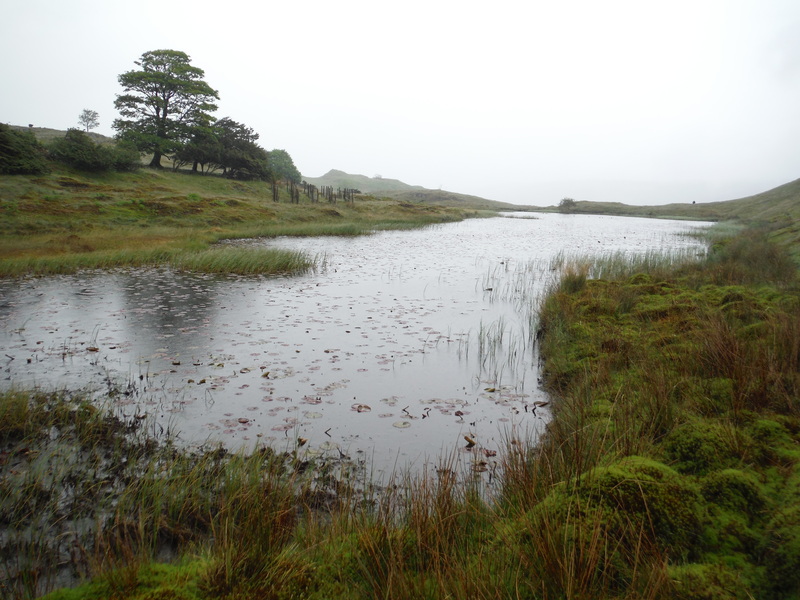 Just down the road from Coniston there are 2 little tarns called Long Moss Tarn and Kelly Hall Tarn. I drove down to them and parked in a little car parking space opposite a garage. It was pouring with rain and windy. I have to admit I spent quite a while sat in the car getting my courage up! But get it up I did and set off into the wind and rain dressed in shorts and t-shirt with my bright green waterproof jacket over the top and carrying a plastic bag with my towel and camera in it. Kelly Hall Tarn was just behind where I’d parked the car, but I just took a couple of photos and then carried on to Long Moss Tarn a few minutes further on. 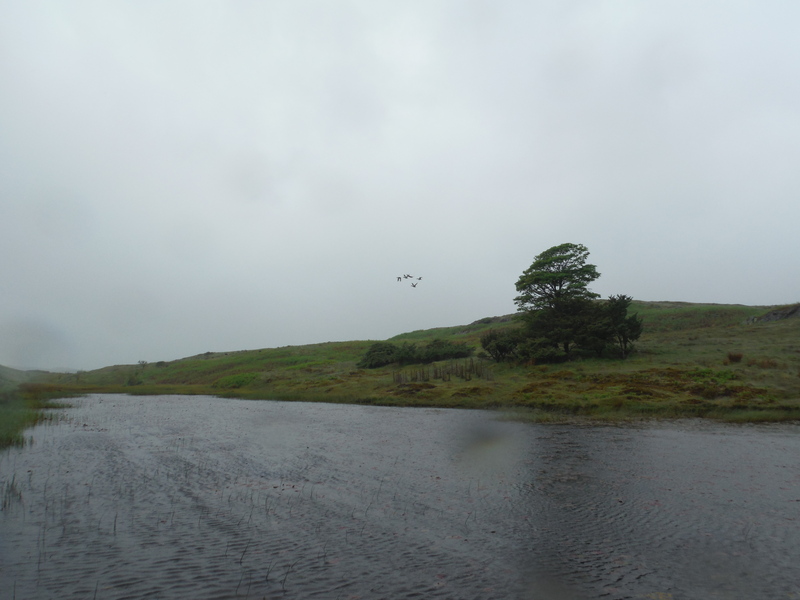 I left my carrier bag and jacket and went down to the far end, scaring off the ducks that were bobbing around. 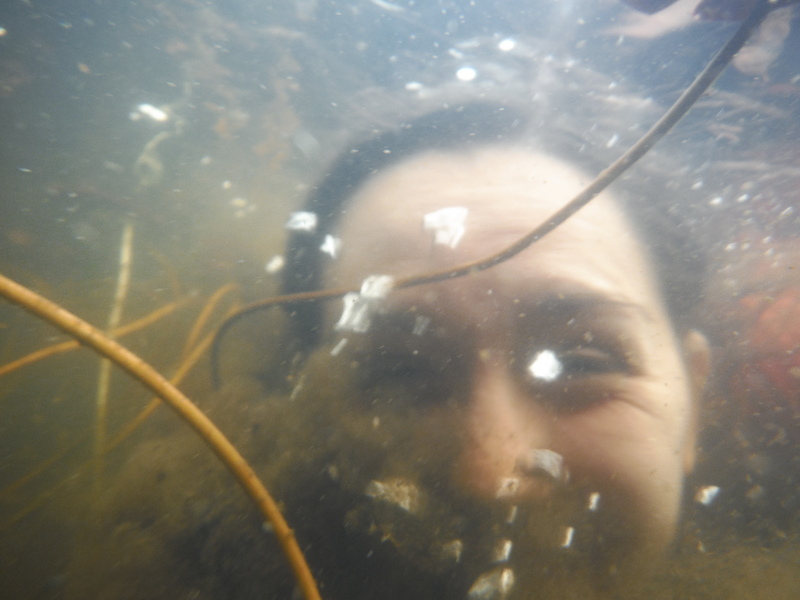 There were some tadpoles where I wanted to get in, so I carefully avoided them and got myself into the water. 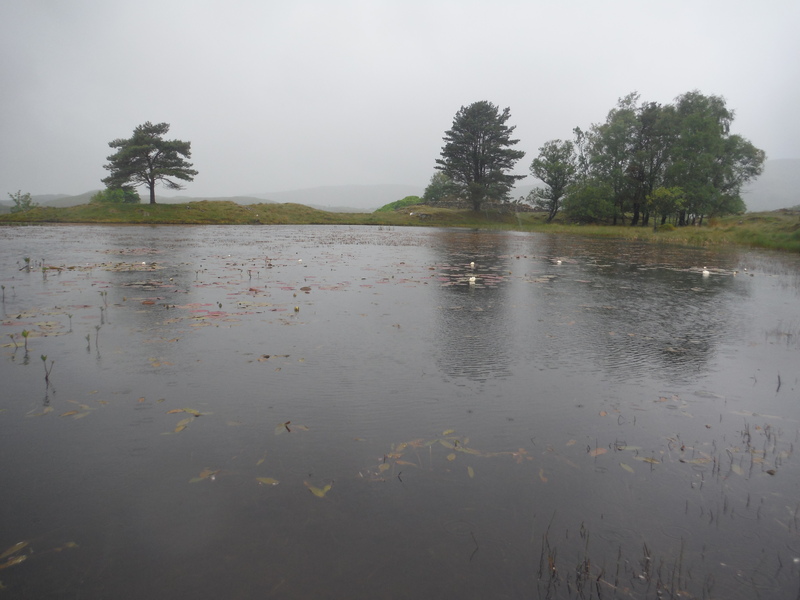 Long Moss Tarn is about 1 foot deep and covered in lilies. This meant that I didn’t so much swim the length of it as battle my way through lily stems with my knees dragging through the silt at each stroke. The water was warm enough (not surprisingly considering there was so little of it) but I confess that there was almost as much crocodile-crawling as there was swimming. 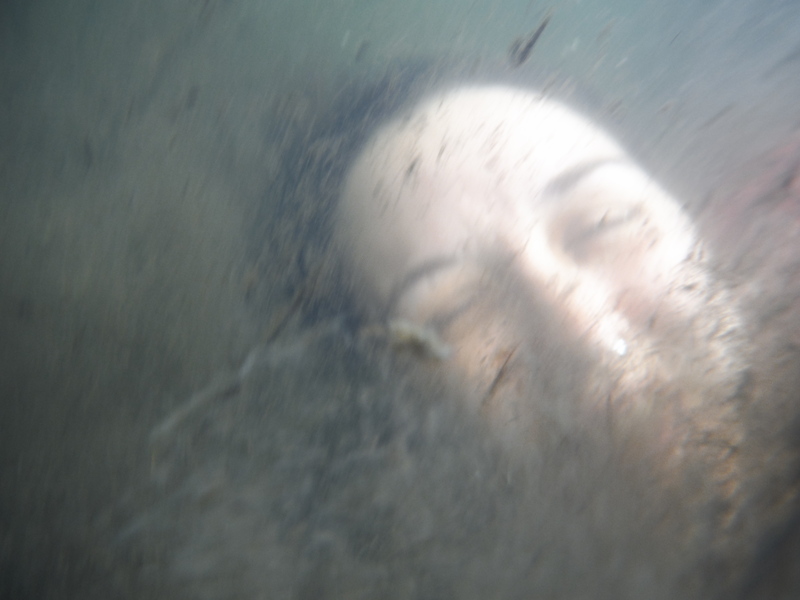 Trying to get an underwater selfie in which you can see my face through the silt was a challenge. When I heaved myself out of the mud at the other end I was absolutely covered in it. I set off back towards Kelly Hall Tarn, strolling merrily along the path and it occurred to me that I must look pretty odd. 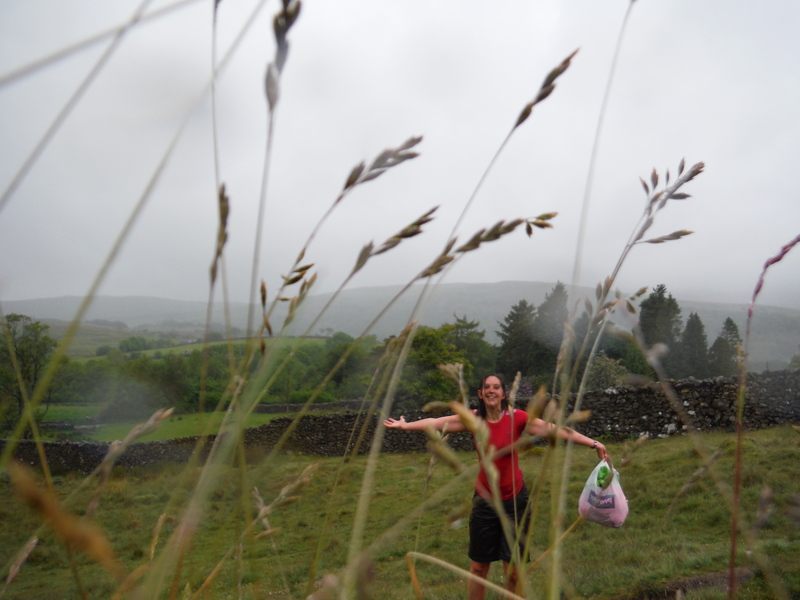 I was striding along in the pouring rain and wind, wearing only a t-shirt and shorts, sopping wet and covered head to toe in mud, carrying a plastic carrier bag and grinning happily to myself. The things we do eh? Kelly Hall Tarn bore a lot of resemblance to Long Moss in that it was only slightly deeper (maybe a foot and a half) and was also full of lilies, although they were joined here by a couple of other kinds of weed as well. 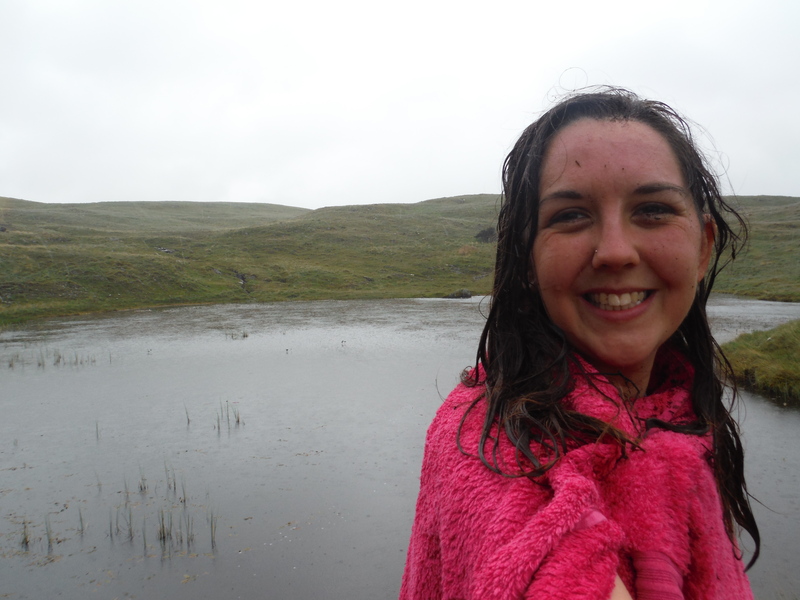 Lovely and warm again (at least in comparison to standing on the edge, soaking wet in the wind) but same issues with the selfie (pretty sure I nearly swallowed some mud in my dedication to the cause) and I once more emerged looking like some kind of swamp-monster. It is a strange thing, but true, that the oddest things can make you feel good. 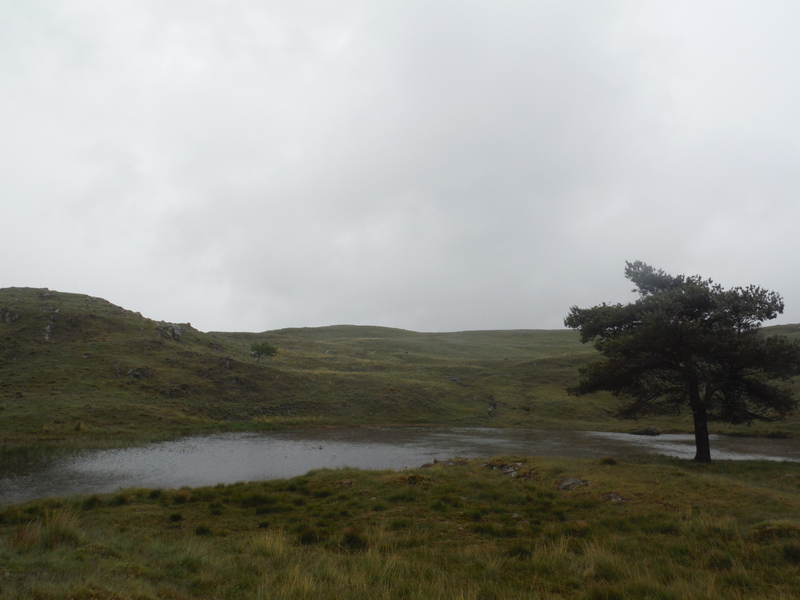 Apparently dragging myself through muddy tarns in the pouring rain first thing in the morning is very good for my mood – I came away feeling great. Getting changed in the car afterwards was an interesting experience – my towel was used at least as much for mud-scraping as it was for actually getting me dry. I spend a while wondering where all the new bits of mud kept coming from until I found a particularly large clump of it in my hair. I finally decided that I was decent, looked at myself in the rear-view mirror and realised that my ears were full of mud. I scraped it off with the towel and was just about to set off when I went to rub my eye and realised that my eyelashes were full of mud. A few hours later, home again, I had a bath. With every item of clothing I removed I found new mud deposits. Washing my hair was a big job. Worth it though.